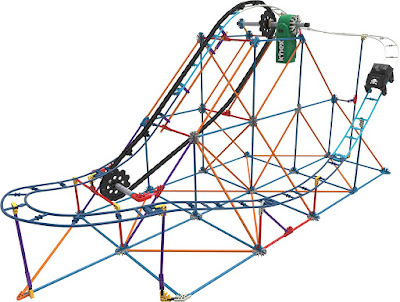 Right now over at Amazon you can score this K'NEX Thrill Rides Kraken's Revenge Roller Coaster Building Set for just $29.99 shipped (regularly $49.99)! This 568 piece set includes a battery-powered motor that gives life to the K'NEX pieces. Even sweeter, if you ever break a part or lose a part K'NEX will take care of it! This set is intended for ages 9+.